Dressbarn is a women’s clothing retailer based in the U.S.. Their products include dresses, tees, pants, shorts, cardigans, skirts, bags, jewelry and accessories, and shoes. The company was founded by Chairman Elliot Jaffe and his wife, Roslyn back in 1962. Jaffe saw a market in the working woman back in that time when women have only just started being welcome in the workplace. They currently have over 750 stores in 43 states nationwide as well as an online store. Co-founder Roslyn Jaffe has also put up foundations that help advocacies for women and children empowerment. They offer extensive health insurance to its employees covering vision, dental, as well as fertility. Employees get two weeks of vacation per year. They also have 401k benefits. They also enjoy discounts in other stores in the Ascena retail group. Current and past employees say that they enjoy working at Dressbarn because of the healthy company culture and the work benefits that they receive. They also like the work hours and the light work load. How old do you have to be to work at Dressbarn? As with most companies in the country, you have to at least be 18 years old to be accepted for a job at Dressbarn. Sales Associate: A sales associate sells the goods and greets the customers. He answers the customers’ questions and handles their concerns. He improves engagement with the merchandise, operates the cash register, manages financial transactions, and balances the drawers. As the face of the company, sales associates should be presentable, courteous, and pleasant all the time. Assistant Manager: The general role of an assistant manager is to support the store manager in fulfilling his responsibilities. In case of the store manager’s absence, he takes over in keeping the smooth flow of sales transactions and overseeing the employees. He takes on both managerial tasks and customer service functions. Store Manager: This employee is in charge of the store’s operations and managing the employees. He ensures that his store is smoothly run and that it meets its sales and revenue goals. He prepares and presents periodical reports on his store’s performance to middle and senior management. He could also be asked to report on the competition in his area. Stylist: The stylist’s job, aside from assisting customers, is to demonstrate product knowledge and build rapport with clients. He puts together fashionable ensembles to help customers decide on what items to buy. The stylist also makes sure that the store is visually appealing at all times. Prior experience as a stylist is required for this position. Unit Processor: The unit processor is assigned with the tasks of replenishing, picking up, sorting, packing, and shipping of goods. The unit processor may also be trained with some inbound stock functions. This position requires the applicant to be knowledgeable with RFID technology and he must pass a drug test as well as a background check. Trend Associate: The trend associate is tasked with doing research on seasonal trends and keeping portfolios of current styles. He must be knowledgeable about runway trends. He should also keep track of competitors’ current styles. This position requires the applicant to have experience in fashion and to be proficient with Adobe Illustrator and Photoshop. Executive Assistant: The executive assistant provides administrative support to senior officers of the company. He must have office management skills, and communication skills at the very least. He must be professional and be able to keep confidential knowledge and policies. This position requires applicants to have administrative skills, MS Office proficiency, and exceptional organizational skills. Brand Marketing Specialist: The Brand Marketing Specialist is responsible for the creation of ideas, execution, and support of the marketing program for stores, including grass root marketing, localized media, and events. Monitoring and reporting of campaign performance and results are also part of the responsibilities of this employee. Visual Merchandising Specialist: This employee ensures that the store’s merchandising is in line with the directives of corporate management. He also updates the store’s look based on current promotions and advertising campaigns. He coordinates with the marketing and planning departments as well. Site Merchandiser: The site merchandiser is responsible for product categorization, management of merchant presentation, as well as the overseeing of seasonal transitions for products, among others. This position requires the applicant to have experience in web retail merchandising. You may apply for a position at Dressbarn by filling up an application form and submitting your resume at any of their stores. Store managers may handle these applications. Applications are also accepted online via the website. There is a link on the company’s official website for applications. Select the position you want, look for your desired location, and apply from there. Make sure to put in experience and skills that would make you highly qualified for the job. Write brief and concise answers. Employers may receive numerous applications online, so make sure that your application stands out as the most impressive. Your resume should include all your relevant work experience. You may include work experience that is not related to the position you are applying for if it required similar skills and work ethics. On the day of your interview, prepare by reading up on the company profile, as well as the position you are applying for. Dress appropriately. Most importantly, try to relax. Your nerves may get in the way of clear thinking. Dressbarn employees are expected to come to work in business casual attire. In terms of company values, since Dressbarn is owned by a family, they believe in the importance of work-life balance. In October 2017, the Ascena Retail Group tried testing a different name for its Dressbarn stores: Roz and Ali. This name change was celebrated with various in-store promotions all across the country. 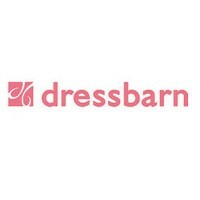 Dressbarn is one of the brands under the Ascena Retail Group. The group also owns other successful women’s clothing brands such as Ann Taylor, Loft, and Lane Bryant. Roslyn Jaffe is passionate about women’s and children’s health and education advocacies. This shows through the Roslyn S. Jaffe Awards, which grants $100,000 to a deserving organization. 1 How old do you have to be to work at Dressbarn?